Mabuhay! 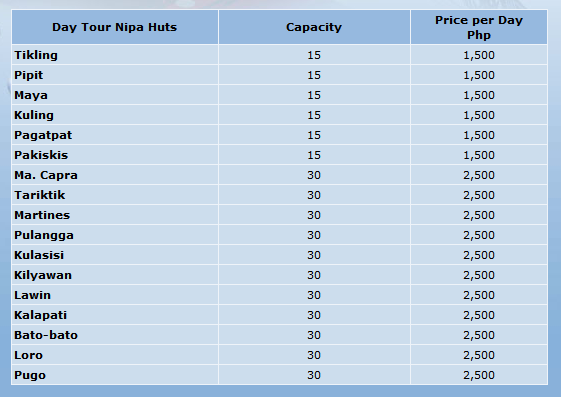 Best Resorts is the #1 resource for everyone looking to rent an Affordable Resort here in the Philippines and Abroad. We also provide General Info and Reviews of different Resorts,Public or Private Pools and Hotels. An unplanned road trip is always a great way to unwind and shake off the stresses of Manila. A friend of mine recently bought a new car and wanted to take it for a road test. Deciding on just a day trip to Batangas the following Saturday, and with no idea where in Batangas we would be going, I excitedly packed up a few things for swimming that Friday night. So three of my friends, plus my girls, left at around 9:00AM for the long drive to Batangas. Expecting slow-moving traffic along the way, we also loaded on some burgers, chips, and drinks to keep the trip bearable, but the journey was faster than we really anticipated. Maybe also due to the gloomy weather that day, traffic along the highway was light and breezy. In no time, we were having brunch at a quaint store in Lipa City as we tried to keep costs at the minimum. 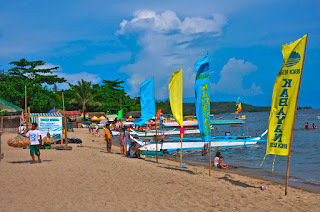 We kindly requested for some affordable resort recommendations from the store owners, and Kabayan Beach Resort seemed the most attractive, given our budget of P400/head. They also provided simple directions on how to get there, since the resort is a local favorite spot for family day tours. After an hour of driving, passing by Padre Garcia Public Market, Rosario Junction, and San Juan Town Proper, and another 20 minutes traversing Laiya Road led us to Kabayan Beach Resort. Now if first impressions really stick, then this resort’s aesthetic reeks of the native sense of beauty and hospitality. Welcomed by accommodating staff, we were charged P100/adult with the additional P1,500 for a nipa hut and included access to the beach, the fastfood area and the Pavilion. With the strong drizzle and overcast skies overhead, we opted to hang around the pool area for an additional P100/head. It might be a little bit over our estimated budget but watching over the kids under a roof was a greater convenience than the rainy alternative. Now being into the consulting business that I am, I decided to scope out the place for areas where outdoor teambuilding activities can be done. Their office staff assisted me with the ocular and there were many options there with their special packages for group functions. Thus, they will definitely be on my list for recommendations for these types of programs. Probing into their history, they said that they started as a private rest house of the owners, when friends requested to rent it out. 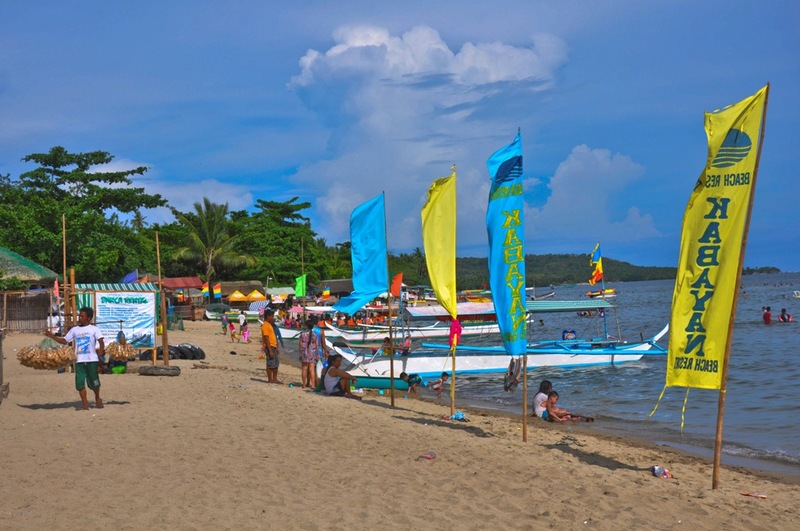 Seeing the potential, they started with the name Laplaya Beach Resort, and is now called Kabayan to create a friendlier and localized atmosphere. Today, equipped with modern-day accommodations like air-conditioning and cable TV, their hotel-like rooms and cottages can house more than a hundred pax at full occupancy, and are inspired by the native furniture and design components. The whole experience of Kabayan was pleasant and would become highly recommended for both day trips and overnight stays. Friendly staff, clean and safe premises plus a wide array of things to do there, I am definitely going back. It became a very homey spin to an on-a-budget road trip. For more details,promo packages and advanced bookings, please check out their website, http://kabayanresort.com.ph or give them a call at their Manila office.